Amethyst in the raw. 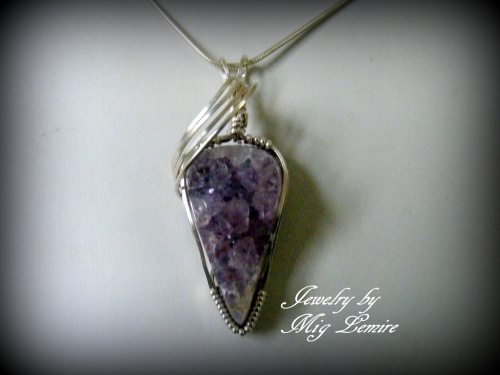 Crystals of beautiful amethyst gemstone make this unique and one of a kind. Piece measures 2" from top of bail to bottom of crystal gemstone and 3/4" wide. Comes with a sterling silver snake chain.